25 September 2014 — Oracle announced today a new development milestone release for MySQL 5.7. Continuing to meet the demands of today’s web, cloud, and embedded applications, the new release further extends the performance, scalability, and reliability of MySQL, the world’s most popular open source database, while enhancing management capabilities. Oracle also announced several additional MySQL product releases and early access features as well as the availability of MySQL source code on GitHub.com. 25 September 2014 — Oracle To help customers simplify management of complex IT environments, Oracle is extending Oracle Enterprise Manager capabilities to MySQL databases. With this new offering, customers can manage complex deployments of Oracle technologies that include MySQL, either on-premises or in a cloud. Existing users of Oracle Enterprise Manager can now easily add MySQL to their environments. Oracle is also announcing new commercial extensions for MySQL Enterprise Edition, including new backup, auditing, and enterprise encryption capabilities. 16 September 2014 — Organizations around the world rely on MySQL to power business-critical web, cloud, and embedded applications, and many are heading to MySQL Central @ OpenWorld to brainstorm tomorrow’s innovations. Taking place September 29 through October 2, 2014, MySQL Central is the smart spot to network and build strategies for next-generation applications. You’ll hear directly from Oracle’s MySQL engineers about the latest features, enhancements, and plans, and connect with MySQL customers, partners, and community members to share best practices and success stories. 27 May 2014 — Meeting the demands of today’s web and cloud applications, Oracle announces the general availability of MySQL Fabric. MySQL Fabric provides an integrated system that makes it simpler to manage groups of MySQL databases. It delivers both high availability - via failure detection and failover - and scalability through automated data sharding. 15 May 2014 — Welcome to the MySQL Newsletter for May 2014. To bring more consistency and visibility to the technology- and solution-focused programs at Oracle OpenWorld, MySQL Connect is renamed MySQL Central @ OpenWorld. Registration is now open—you can get early bird savings with US$500 off the onsite price until July 18. Register now and take advantage of the exclusive opportunity to hear directly from Oracle's MySQL engineers and learn from your fellow MySQL users in the community. 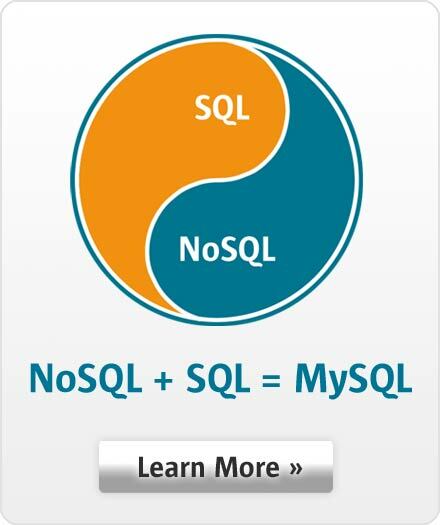 22 April 2014 — Welcome to the MySQL Newsletter for April 2014. We recently announced many new product releases, including the latest MySQL 5.7 development milestone release (DMR), the general availability of MySQL Workbench 6.1, as well as the release candidate of MySQL fabric. Learn more details on the new features and improvements in this edition. 24 March 2014 — Welcome to the Oracle Information InDepth Newsletter: MySQL Edition for March 2014. The call for papers for MySQL Connect 2014 is open until April 15. Take the opportunity to share your real-world experience with the MySQL community and its ecosystem. Also, we're hosting many seminars and participating in a lot of upcoming conferences around the world, so check out the event list and see if Oracle's MySQL team will be near you. 11 February 2014 — Welcome to the Oracle Information InDepth Newsletter: MySQL Edition for February 2014. The call for papers for MySQL Connect 2014 is scheduled to open on March 4 for five weeks. Read more details in this edition and start preparing the topics you'd like to share with attendees. 17 January 2014 — Happy New Year! Welcome to the Oracle Information InDepth Newsletter: MySQL Edition for January 2014. MySQL Connect 2014 will take place in San Francisco, California, from September 29 to October 2, 2014. Read more details in this edition and mark your calendar now.